If you are considering porcelain veneers, it’s important to consider not only the cost of the treatment, but also the value. Porcelain veneers are among the most expensive treatments in cosmetic dentistry, but when you look at the advantages of the treatment, the value often greatly exceeds the cost. As we will discuss below, there are many variables that make it impossible to predict the cost of your porcelain veneers without a consultation. During your consultation, Dr. Ana Brightleaf will talk about cost and financing in detail. Don’t compare apples to oranges! Geography – As with everything, porcelain veneers cost varies from place to place. Number – Some people need only one veneer, while others need sixteen to get the results they desire. Materials – not all veneers are created equal. Highly durable veneers are made of advanced materials that may be more expensive. Workmanship – experienced and well-trained cosmetic dentists may request more for their services. When considering as important a dental procedure as porcelain veneers, it’s important to get multiple quotes, and when you’re comparing them, make sure you’re comparing the same product. Don’t forget to look carefully at dentists’ before and after pictures before making a decision. When you consider all the above factors, you’re still likely to find that porcelain veneers are more expensive than other dental treatments. However, if you consider their value, you’ll see that they’re often worth it. 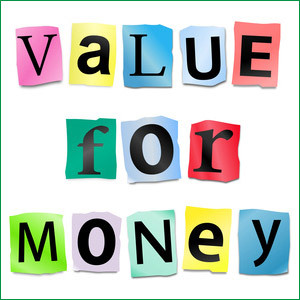 With this type of value, people who get porcelain veneers tend to be satisfied – and if you compare cost with satisfaction, it’s more often the people who pay more who are more satisfied. We understand that, even with their outstanding value, it can be hard for people to afford porcelain veneers. 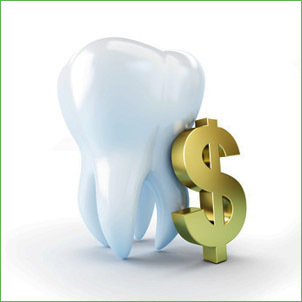 To help with costs, we offer dental financing so you can get your porcelain veneers today and make only low monthly payments. To discuss the cost and value of porcelain veneers with Dr. Brightleaf please take advantage of our complimentary consultation.